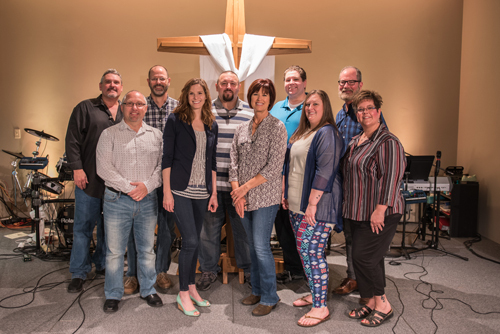 FaithX is our Contemporary Worship Praise Band. They play popular Christian music, including selections from Christian songbooks, Lutheran hymnbooks, and other music resources. They also write original music. The band members do all song arrangements. The extensive music repertoire of the band reflects the time and effort spent in rehearsal and worship services. FaithX rehearses on Tuesday Evenings at 7:00 pm. If you are interested in joining FaithX please contact Director Debbie Wilson.